Bryan Swig, a Cal Lutheran faculty member and alumnus, is one of the researchers trying to determine if the culprit is the same shark returning to the beach. (THOUSAND OAKS, Calif. – July 5, 2017) Research conducted by a California Lutheran University marine biologist into the DNA of great white sharks will be featured in Shark Week’s kickoff episode this summer. “Great White Shark Serial Killer Lives” will air at 7 p.m. Sunday, July 23, on the Discovery Channel. Each year for several years, the series has updated the story on great white shark attacks that occurred in October every two years at Surf Beach at Vandenberg Air Force Beach from 2008 to 2014. The 2010 and 2012 attacks at the secluded public beach were fatal. In both instances, a shark attacked and killed surfers. Bryan Swig, a Cal Lutheran faculty member and alumnus, is one of the researchers trying to determine if the culprit is the same shark returning to the beach. Swig, often working with students, figured out a way to extract DNA from the enamel of tooth fragments for the first time so that he could study the bits left behind during attacks. The complex process requires freezing a fragment in liquid nitrogen to make it brittle, grinding it to a powder, dissolving the calcium, spinning the remaining liquid through a centrifuge, and using heat and more chemical buffers to discard nearly everything but the DNA. Swig and his students then use standard techniques to copy the DNA millions of times and break it into pieces for analysis. The DNA studies confirm that the attackers were white sharks and other evidence suggests that the culprits were likely part of the same family group that migrates through the channel. Swig’s work with sharks grew out of his desire as a conservation scientist to find a less intrusive way to identify shark populations. Scientists have traditionally gleaned DNA by capturing sharks long enough to harvest dime-width plugs of skin and muscle from them. Since sharks often leave behind small fragments of their teeth in people or surfboards when they attack, Swig zeroed in on finding DNA in them. The Thousand Oaks resident has also worked with students to track the origin and movements of sharks in order to assess the effect that warmer ocean temperatures, illegal harvesting and increased fishing of their prey are having on their behavior. Swig also studies wetland habitat restoration and the human impact on watersheds and near-shore marine environments. He and a student studied the 2012 restoration of the Surfer’s Point wetlands in Ventura, finding that it resulted in less vegetation. He earned a bachelor’s degree from Cal Lutheran before receiving a master’s degree in biology from California State University, Northridge, and a doctorate in biology from the University of Hull in England. 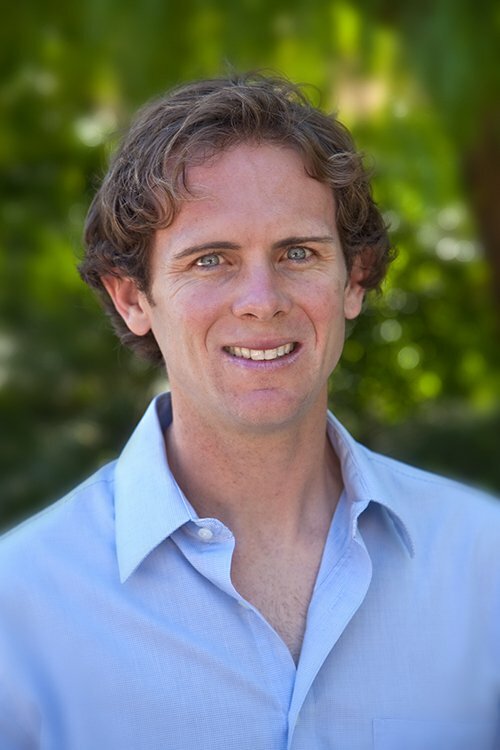 He began teaching at Cal Lutheran in 2007 and became a full-time faculty member in 2010. He teaches biology classes, serves as the university lab coordinator and mentors undergraduate researchers.